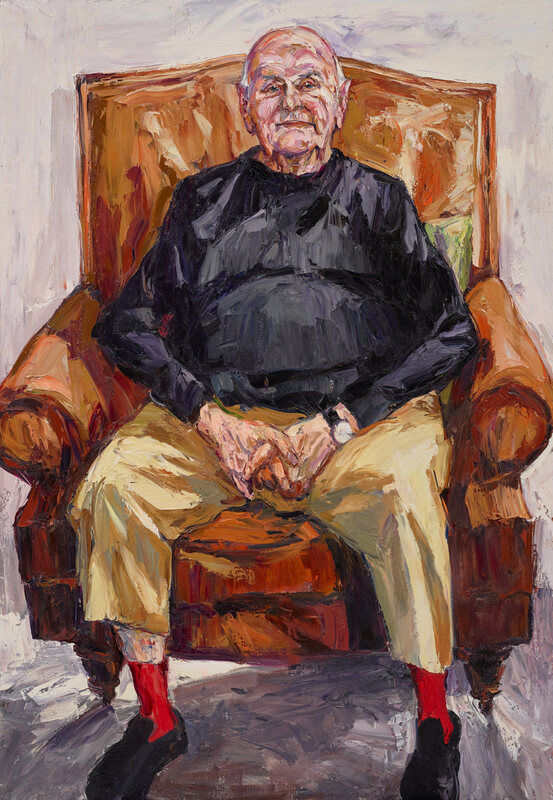 About 18 years ago, Nicholas Harding faxed Tim Olsen to ask if his father, the great artist John Olsen, might consider sitting for a portrait. ‘John’s irrepressible joie de vivre, in both his personality and work, was something I wanted to paint. This request was politely denied,’ says Harding. Born in England in 1956, Harding came to Australia in 1965. He won the 2001 Dobell Prize for Drawing and has been a regular finalist in the Wynne and Sulman Prizes. His work also features in this year’s Wynne Prize. This is his 17th time in the Archibald, which he won in 2001.